Despite a full-time working life in education she has produced over a dozen books, mainly poetry, but also a novel and some children’s stories. Her latest collection is Dat Trickster Sun (Mariscat 2014). She is active in translation and has taken part in literary festivals in many countries. Her poetry has often won awards in her native Shetland and a French bilingual Selected, Mondes Parallèles (éditions fédérop, 2007), won the Prix du Livre insulaire 2007 pour Poésie. Her poems have been selected four times for the Best Scottish Poems of the Year (2006, 2010, 2013 and 2015). She also enjoys collaborating with visuals artists and musicians. 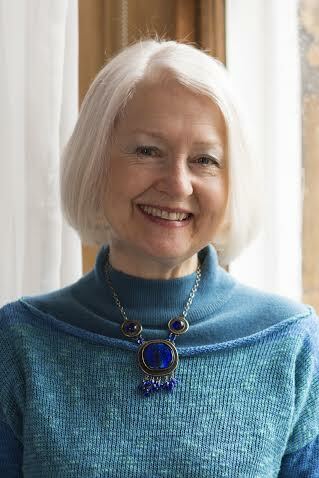 She is a long-standing member (since 1993) and former Chair of Shore Poets. Hansel Cooperative Press (supporting the arts in Orkney and Shetland) is also dear to her heart. Click here for more information about Christine. Click here for more information about Hansel Cooperative Press.